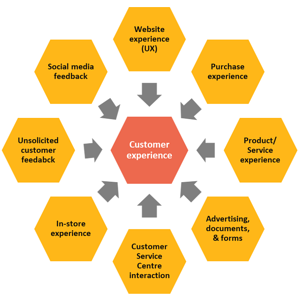 In the ever-expanding world of User Experience (UX), organizations are starting to realize just how important research and user testing can be to improve the customer experience. With options ranging from quantitative, qualitative, and observational user testing, determining which methods home builders should use can be overwhelming. What are User Testing Methods? Simply put, all user testing methods are going to involve one or more users and a set of tasks. Furthermore, all testing methods fall into either the qualitative or quantitative category. Implementing different types of research methods early on will give you an advantage over your competitors because you'll be able to identify design or technical flaws in your designs that impact your customer's user experience early on. As a result, this will allow you to fix issues the users may be experiencing that could have resulted in you losing out on a potential sale. 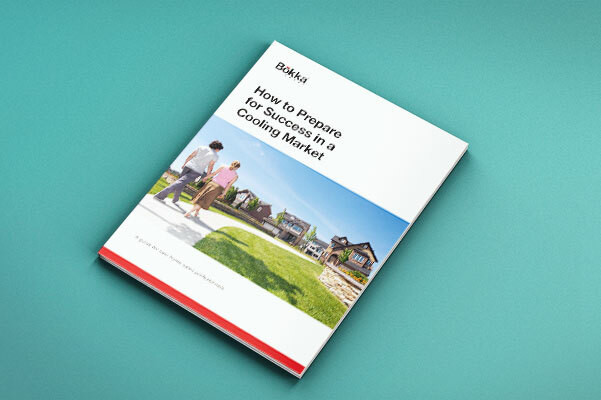 With so many testing options and software solutions out there, we've put together a cheat sheet that includes our favorite tried and true methods from working with hundreds of builders over the past decade. Quantitative research yields data that can be measured numerically and often answers the questions, how many, how much, and how often? An example of quantitative testing for home builders would be to give your user test group a task such as: Find the Alexandria model home in Charlotte, NC and schedule a tour with a salesperson. With this given task, you could then track the number of clicks as well as the amount of time it takes to successfully complete the task. With multiple users, you'd then start seeing patterns around the user experience for this important task, and as a result be able to determine if your navigation needs restructuring, if your 'schedule a tour' CTA needs to be placed in a new location, and so on. Qualitative research yields observational and behavioral data, which is often open to interpretation. A simple way to think of it is open-ended questions. 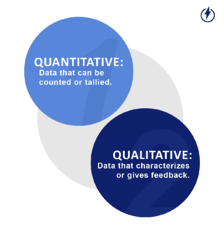 Different from quantitative data, qualitative data typically uses words rather than numbers as a means to explain the findings. With the same task above, you can also gather qualitative data by asking your user to talk you through their experience; why did they click where they clicked? What did they think they would find on the page? How do they think this could be improved? Qualitative data typically comes from getting into a conversation with your user and digging a bit deeper into the question why. Qualitative data is typically more difficult and time-consuming to analyze (imagine reading through your buyers' facebook posts to detect trends or common problems). Yet this is where the greatest opportunity lies for Artificial Intelligence and computer algorithms (think word clouds on steroids). 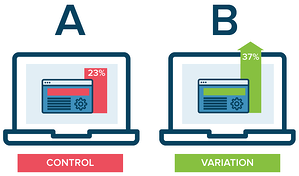 A/B Testing involves experiments where two variants are presented to the user at random. A/B testing can be a highly effective method of testing for builders in both your marketing emails as well as your website CTAs. For an email, consider sending an offer email with two different offer options such as 1) Save $25,000 in upgrades when you close before 12/31 or 2) Get a free covered porch when you close before 12/31. Both offers have the same monetary value, but the proposition itself is the variant. Home builders can then use the quantitative data from the interaction with both emails: ie. open rates, click rates, replies, etc. to improve future correspondence and lead nurturing. Click Testing is a fantastic tool in the early stages of building a new website or improving your existing one and is used to measure how easy it is for users to navigate your site. Users are given a task to complete and the clicks are tracked to measure how simple or complicated it is to complete the given task. Navigating through a home builder's website can be both overwhelming and confusing for new users, and click testing can provide great insight into how your users are going to interact with your site. Let's say you've noticed that your attendance at open houses has been declining. You've checked your google analytics and it doesn't look like very many customers are looking at your open house event page on your site. This would be an excellent time to utilize click testing. We recommend recruiting 8-15 participants. Assign them the task of going to your website to find your open house event page. Track the number of clicks and length of time it takes for them to locate the page, and then use your findings to improve the usability of your site. Maybe your open house page needs to be relocated in your main menu navigation or perhaps you need to be driving targeted ads to the page? Whatever it is, click testing will help you find a solution. Card Sorting is a method used to figure out how users categorize information. Users are given labeled cards and are then asked to sort the cards into whatever groups make the most sense to them. It's a great way to help you organize or reorganize the content and structure of your website. One of the reasons we love card sorting? It's affordable. 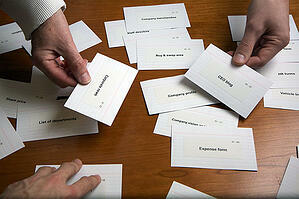 While you can do card sorting online, we recommend the old fashioned method of index cards. Your website is out of date and it's time for a refresh/redesign. Chances are - your content has changed a great deal since your site was built back in 2006. Take the time to do card sorting when building out your 'information architecture' - the art of organizing your website's content in a way that provides the best possible user experience. Chances are, you've got an idea of what your main navigation and sub-navigation will look like, but you should still lean on card sorting so you can see how your prospects would organize your content. Again, recruit 8-15 participants and give them index cards with every possible content page your website could hold: home page, blog, photos, open houses, model homes, model centers, and all the other dozens of pages your site will have. Hand them the stack of index cards and ask them to organize them in a way that makes sense. Then compare and contrast the various organizational structures your participants have put together and look for emerging patterns. 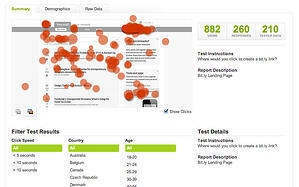 Use the data to help you achieve the best possible organization for your site. A Diary Study can be a highly effective testing method to study long-term behavior with a product. Like most testing methods, you'll need an incentive to offer participants since it requires a good deal of their time. Testers log their experience with your product in a 'diary' (which could be as simple as a video diary) and the qualitative findings are typically all about behavior, attitude, emotion, frequency of use, frustrations, and so on. Home builders can greatly benefit from diary studies with customers that are purchasing a home with them. If you're a builder in a position to offer a discount to a customer that would be willing to participate, having a customer who is willing to track their experience building a home with you would prove invaluable. 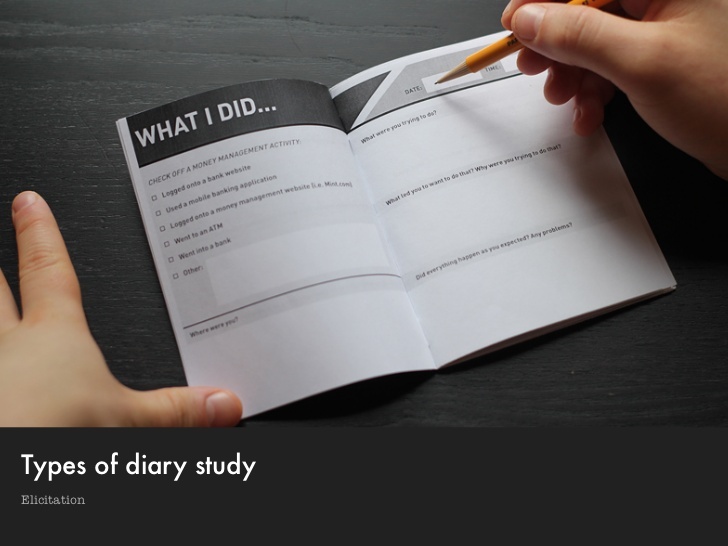 There are many options for online diary studies, but to keep it simple, your participant(s) can also use an old fashioned notebook. Identify the phases of building a home and have them log their experiences in each phase. Give them questions for each phase to prompt their journal entries such as 'Tell us about your experience with your sales counselor' and 'Tell us about communication during the breaking ground phase. Did you feel well informed?' With the right participants, you'll have a wealth of knowledge upon the completion of their home to improve the real-life user experience for your future homebuyers. Interviews are a tried and true research method to gain information about your customers. While this may seem like a simple method, the challenge is in finding the right participants and asking the right questions. The success of interviewing potential users lies in the hands of your research team and their ability to get your participants not only talking, but elaborating in their answers on why. Interviewing users is a good idea at any point in time for home builders looking to gain greater insight into their customer's journey. Put together an interview plan and recruit participants. 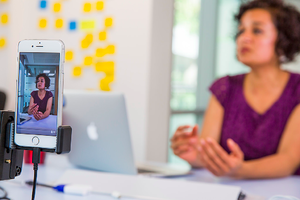 The most effective interviews are going to pinpoint a single issue or pain point for users. Let's say you know that when homeowners are going through financing their home, their experience takes a nose dive. Put together a research team that dives into this finance phase and interviews customers about the good the bad and the ugly of financing a home with you (and/or your preferred lender). A good tip for interviewing is to ask your participants to 'tell me more'. You know you're doing something right when your interviewees have moved beyond your question and and begin to tell you a story about their experiences. Use this qualitative data to improve your financing process for future homebuyers. Customer Feedback or Voice of the Customer Studies are essential in understanding your customer's needs while buying a home. These studies truly put you in the shoes of your customer. According to APICS the definition of VOC is: 'Actual customer descriptions in words for the functions and features customers desire for goods and services.' In a successful VOC program, you need to be receptive to feedback, both positive and negative, know how to review the feedback, take action, close the feedback loop, and ultimately bring the feedback to life. Positive feedback should always be shared with your company to boost morale. VOC builds consumer trust and will help you as you grow your business and increase referrals. Many VOC studies are conducted through regular surveys, which if worded correctly, can be very telling. Give your customers the ability to submit anonymously, which increases the likelihood of getting the whole story. Your surveys should include both rational and numerical ratings such as 'I was impressed with communication with my salesperson during construction' Rate from 1 (strongly disagree) to 10 (strongly agree). This type of question provides quantitative data. Asking your customers to elaborate on why they chose the number they chose provides your qualitative data. But remember, if you're going to solicit this feedback, be prepared to do something with it. The success of your VOC program relies on your ability to respond to your customer, share the information with your team, and devise a strategy to improve the customer experience in the future. The Nielsen Norman Group aptly sums up the usage of different methods by stating 'due to the nature of their differences, qualitative methods are much better suited for answering questions about why or how to fix a problem, whereas quantitative methods do a much better job answering how many and how much types of questions.' Most successful testing campaigns integrate both qualitative and quantitative methods of testing to provide a a well-rounded understanding of what works and what can be improved in a product and experience. Home builders want to provide top notch experiences to potential homebuyers, yet many home builders struggle to identify the pain points and frustrations of the home building and buying experience - both online and in person. Through implementing research and testing methods, builders are able to really dig deeper into what's going on with their customers. By implementing these methods, you'll gain invaluable knowledge that will help your team provide a memorable home buying experience. If you'd like advice, guidance, or someone to help set up tests like the ones mentioned in this article, the Bokka Group can help. Just send us a message.